As the school bells rang in Nova Scotia last week, our paper looking at school lunch menus attracted some attention in the news. We appreciate the opportunity to discuss our work further on Weighty Matters and highlight how we might move forward to create healthier school environments. In 2006, Nova Scotia became one of the first provinces in Canada to introduce a mandated School Food and Nutrition Policy. 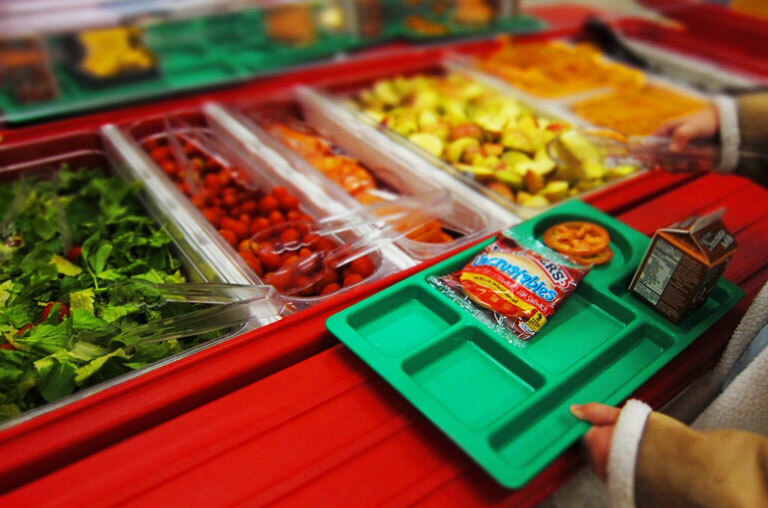 The policy provides standards for the types of foods and beverages that can be served and sold in schools using maximum, moderate and nutrition categories. The policy also outlines many other important components like pricing, fundraising, promotion, role modelling and local food products to create a supportive healthy eating environment in schools. Prior to our research, there was no formal evaluation or monitoring of the policy. Through the Children’s Lifestyle And School-performance Study (CLASS) in 2011, we first had the opportunity to learn about school nutrition practices and the associated barriers and facilitators. Our recently published paper builds on these findings to shed further light on policy adherence using online school lunch menus. Over a period of one month during the 2012-13 school year, a registered dietitian reviewed available menus from 110 schools and compiled list of commonly offered items. Because there was a lack of detailed nutrient information available, we had to categorize menu items based on healthy and less healthy methods of preparation (e.g., low vs high sugar, fat, and sodium). You can find complete detail of the results in our article, but in short, we found a great deal of variability in adherence to the policy. First, the good news. Many schools were offering items of maximum nutrition (e.g., vegetables, fruit, and milk) which according to the policy should make up the majority of items served or sold. Items of moderate nutrition can include no more than 30% of choices and we found that schools were following this rule if we assumed they were preparing common items in a healthy way (e.g., sandwiches, pizza and pasta with whole grain bread/pasta, lean meat and low-fat cheese). But unfortunately, although items of minimum nutrition (e.g., garlic fingers, cookies, nachos, poutine and hot dogs) are only allowed twice per month during special school events and occasions, and not through regular school lunch options, these items were listed on 12-45% of school menus, depending on our preparation assumptions. We were not that surprised by the findings of our review. In our current environment where unhealthy foods are heavily marketed, widely available and socially acceptable, we know that the mere existence of a policy will not have a significant impact. Higher-fat and more processed food options will continue to be offered within schools unless we establish a compelling moral purpose that opposes marketing and challenges our current social norms. Alongside of provincial/territorial nutrition policies, we need national investment in school nutrition and efforts to address the issue of food marketing to help redefine what we mean by healthy eating. This systems-level change requires a paradigm shift, with broad support of all partners to inspire a culture where healthy and nutritious food is available and accessible to children at home, in their schools and communities. There are lots of great examples of success across the country that can help to support this change. Nourish Nova Scotia is a province-wide, non-profit organization that supports nourishment and food literacy programs in school communities. They share stories of inspiration that highlight the passion of so many schools that are helping to create healthy school food environments. Many of these stories include engagement of students who are critical to leading the change within our schools. We will continue to explore school nutrition in Nova Scotia through a more comprehensive research project that focuses on school nutrition policy implementation, the costs associated and the experiences of students (co-funded by CIHR and the Max Bell Foundation). Please stay tuned through social media as we will continue to share our research and work together with our partners in Nova Scotia to create healthier school food norms. 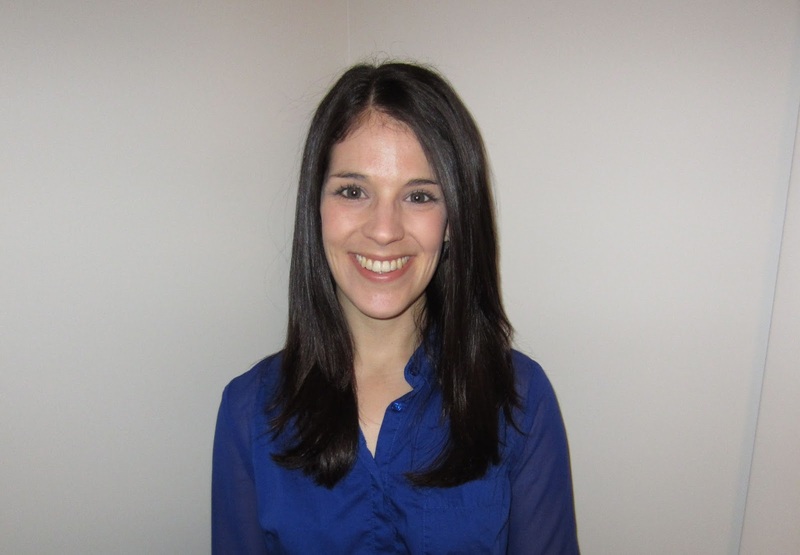 Dr. Jessie-Lee McIsaac (@jlmcisaac) is a Postdoctoral Fellow funded by the Canadian Cancer Society and is working with Dr. Sara Kirk (@sflkirk), a Canada Research Chair and Professor of health promotion at Dalhousie University. Dr. Kirk’s research group, the Applied Research Collaborations for Health, uses a “socio-ecological” approach to understand how we can create supportive environments for chronic disease prevention.